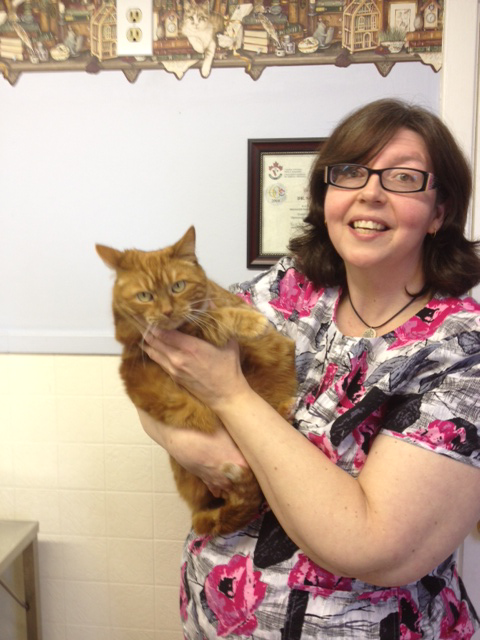 Meet the Veterinarians & Team of Animal Clinic of Brooklin in Brooklin, Ontario! We’re pleased to provide exceptional vet care for your pets! Please call us at 905-655-3811 to speak to one of our caring veterinary staff members! Dr Susan Strickland has wanted to be a veterinarian from the time she was a young child, in order to help animals in pain. She took a roundabout route starting out in philosophy, then taking time off and working in political offices, and finally came back to veterinary medicine. A 1980 Ontario Veterinary College graduate, she started out in mixed practice, then moved on to small animal practice. She has worked in several practices around Ontario both as an associate, and as a locum. 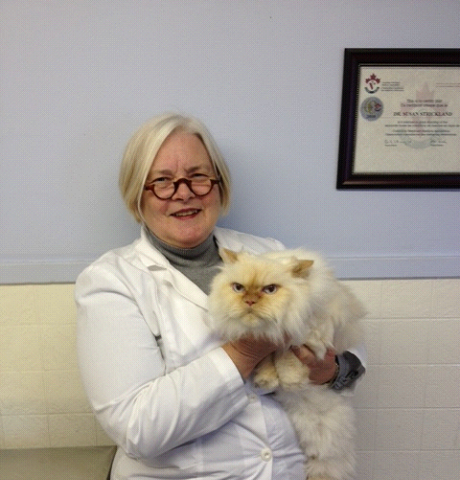 She purchased Animal Clinic of Brooklin in 1994, and has never looked back. She loves the area and really enjoys helping people help their pets. Dr Susan has a special interest in behavior, and has completed the veterinary chiropractic course and the veterinary acupuncture course, and and is passionate about integrating the alternative modalities with traditional Western medicine. When time permits she enjoys singing with the County Town Singers, riding dressage and trails, and recently golf. I have worked at Animal Clinic of Brooklin since 2008, starting as a co-op student in high school. Then I took two years off to work full time at the clinic. 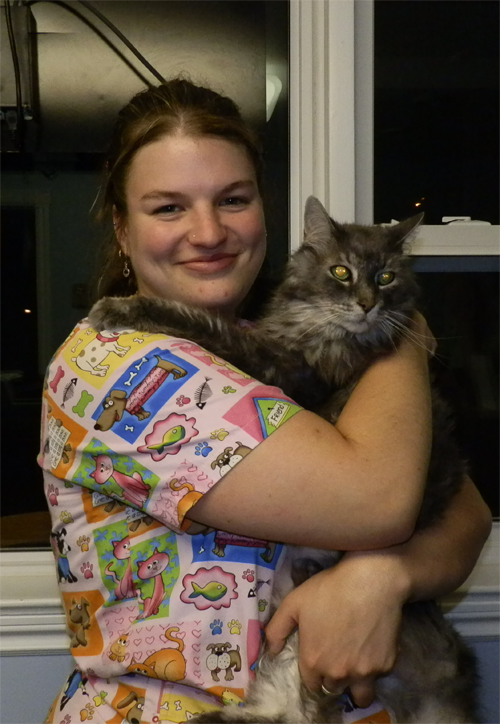 I am Veterinary Technician and I graduated in May 2013 as a veterinary technician. I went back to school for companion animal rehab and graduated in 2014. I became Registered Veterinary Technician in the spring of 2014. I have always loved animals, and have had almost every kind of pet. My passion in life is to work to help animals. I had the opportunity to join the Animal Clinic of Brooklin team in 2007 , I have always have a passion for animals, and love interacting with people , In the past I have had birds, turtles,fish, dogs and cats . I currently have, Grace a 8 year old cat and Sage a 2 year old cat . when not at work I enjoy spending time with my family and friends . I enjoy taking pictures and have for many years.